Why Sponsor the Annual Conference? Sponsorship is one of the best ways to brand your organization as a thought leader and to highlight your commitment to advancing the philanthropic sector. It’s also a great way to show your support for SIUE’s MMR program! Connect with industry decision makers. 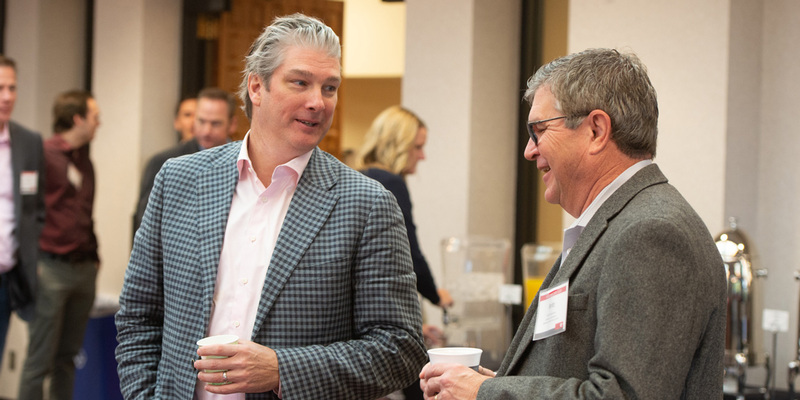 With over 150 attendees, SIUE INSIGHTS 2018 is the industry’s place to be heard and seen. Demonstrate your leadership. As an industry leader, your firm will be show-cased with other leaders in our industry. Please become a sponsor today! We would greatly appreciate your support by choosing one of the following packages: You may direct any questions to Ramana Madupalli, Director MMR program, at rmadupa@siue.edu. Please contact Ramana Madupalli, Director MMR program, at rmadupa@siue.edu, for information about sponsorships.